Professor Angela Paladino, Director of The Williams Centre for Learning Advancement, employs some vital rules of thumb to deliver engaging lectures, increase understanding of complex concepts and ensure applied learning outcomes within the classroom. Is there an exact art or science to teaching? I don’t believe there is an ‘exact’ science, however there are a few rules of thumb that have helped me to learn as a student, and have stood the test of time when I have taught my students over the years. Be engaging. As educators we are often exposing students to new and complex ideas for the first time, so it’s important to capture their imagination. Make concepts easy to understand. This can be through examples and explanations in the classroom, online tools, and classroom activities. Enable students to apply their learning, so they have a better chance of retaining key concepts in their memory. These techniques have worked for me over the years - for my own learning as well as teaching thousands of students for almost 20 years. Research shows technology strengthens student engagement. How has the rapid advancement and accessibility of technology changed the role of teachers? While the basic skills of teaching have not changed, technology allows teachers to manage the sheer amount of information that students simply weren’t exposed to before the internet and social media. In the past, the teacher was the sole provider of knowledge. This is clearly no longer the case. We are experiencing the onset of a digital transformation in education where students are, in many cases, more digitally literate than their lecturers. This has provided an impetus for change, challenging academics to connect with students using diverse platforms. There is a strong research base that describes how technology strengthens student engagement and learning. Universities need to invest in quality training to enable academic staff to apply and leverage these technological investments, which is what The Williams Centre for Learning Advancement is doing. Which three skills will be vital for academic staff in the future to ensure effective teaching and course delivery? Learn how digital technologies can make content delivery more efficient. Innovate their teaching to engage and challenge their students. Enhance their technological skills to create and present interesting and relevant content. Angela says while the basic skills of teaching have not changed, technology allows teachers to manage the sheer amount of information that students simply weren’t exposed to before. What attitudes towards online learning are you seeing from the millennial student cohort at the University of Melbourne? These are actually quite mixed at the moment. Focus groups conducted with students show that while some enjoy the online content, they do not want their lecture experience to be entirely replaced. Technology is creating new ways for students to engage with content and with each other. And students’ attitudes towards collaborative learning is changing. Through an analysis of the data that students generate in the learning process, we now know more about how students learn and how we can use analytics to adjust the learning environment to maximise learning outcomes. Distance learning (through Graduate Online), virtual learning environments, learning management systems and Massive Online Open Courses (MOOCs) all mean experts can be delivered to a wider audience in an engaging manner. 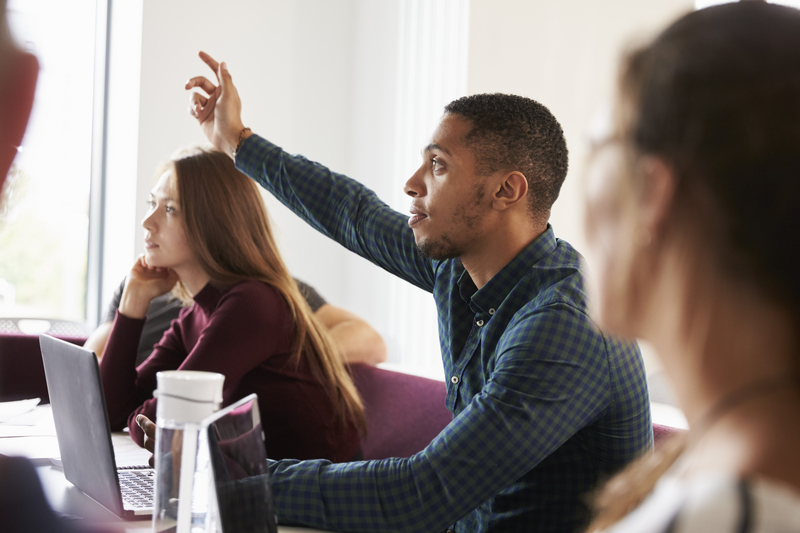 These changes to digital platforms require a change in approach to teaching, where, for example, flipping classrooms and blended environments allow lecturers to assess student learning in real-time in class. Students are increasingly curious about these academic styles, demonstrating how students’ attitudes towards online learning continue to change and evolve. And, finally what are you most passionate about as a change agent, advocating education of the future? I am most passionate about ensuring students receive a quality and memorable education from the University of Melbourne, and that at the same time, teachers enjoy their experience in the classroom. Ultimately, we want to keep producing world class graduates with technical and generic skills that provide value to their employers. We also need world-class teachers to achieve that. Learning happens throughout their lives and whether they come to the university to update their skills or do it through the workplace - or ideally both - the thrill of learning something new should never stop. 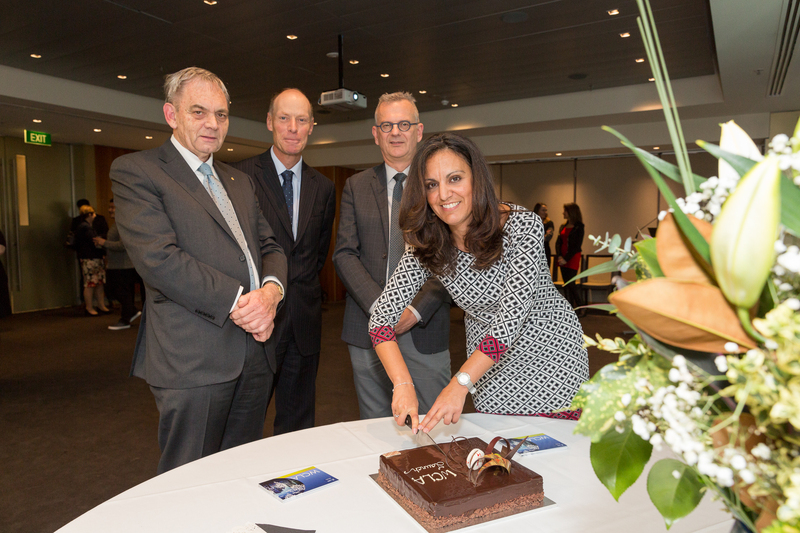 Angela Williams at the opening of the Williams Centre for Learning Advancement, (L-R) Professor Ross Williams, Professor Paul Kofman, and Professor Nilss Olekalns. Angela Paladino is Professor of Marketing and the Director of the Williams Centre for Learning Advancement at the University of Melbourne Faculty of Business and Economics.